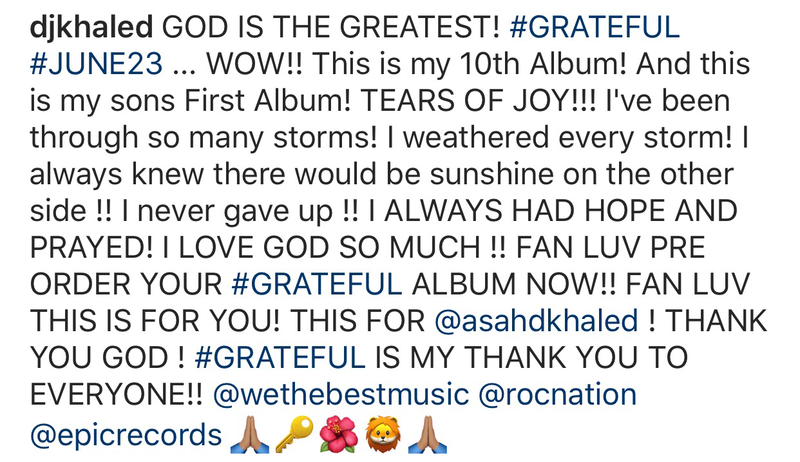 With two certified bangers already getting heavy play on the radio, ‘Shining’ with Beyonce and Jay Z and ‘I’m The One’ with Bieber, Quevo, Chance The Rapper and Lil Wayne, DJ Khaled announced his 10th albums release date. ‘Grateful’ will hit all platforms June 23rd and checkout the artwork! 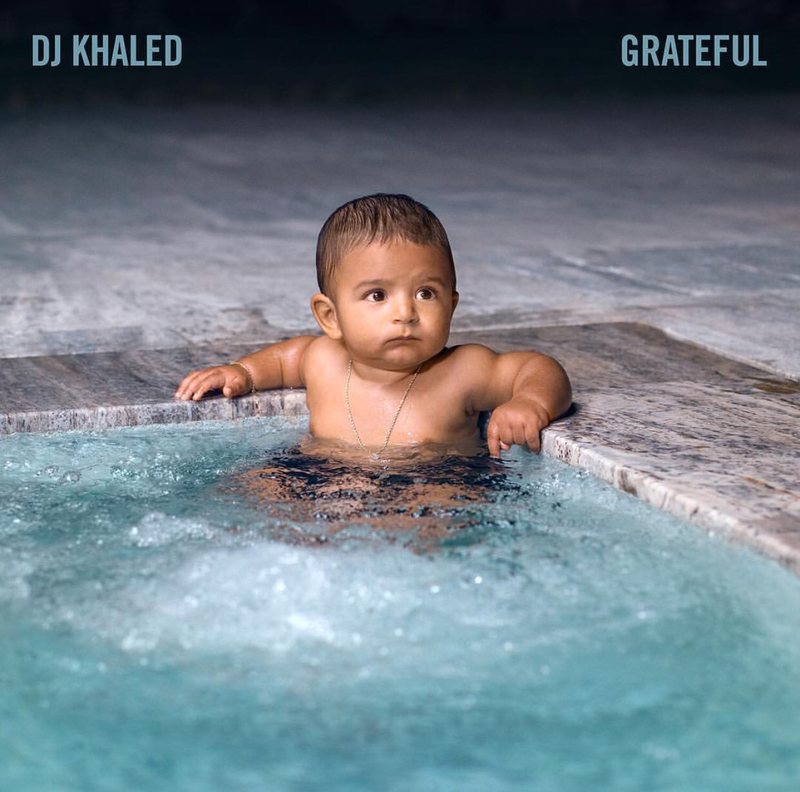 That’s young Asahd the executive producer of the album on the cover. Previous Previous post: Is Halle Preggo?!? !